National Gallery Singapore (Chinese: 新加坡国家美术馆; pinyin: Xīnjiāpō guójiā meishùguǎn) is an art gallery located in the Downtown Core of Singapore. 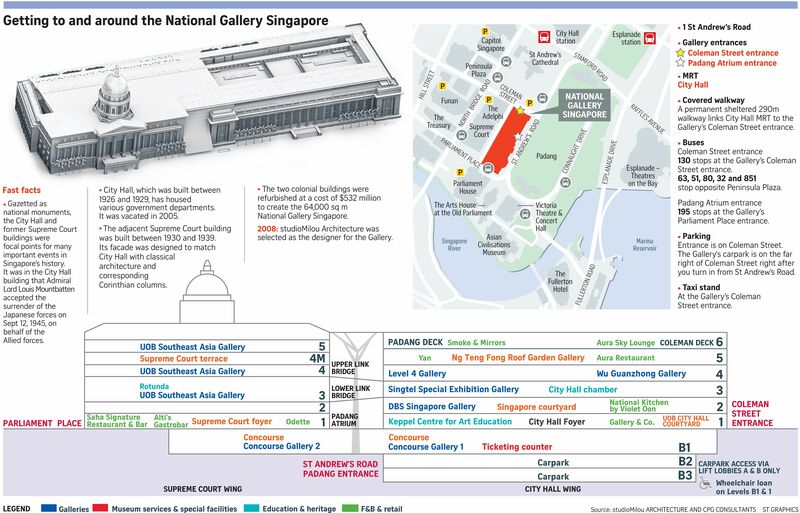 Opened on 24 November 2015, it oversees the world’s largest public collection of Singapore and Southeast Asian art, consisting of over 8,000 artworks. National Gallery Singapore aims to provide an understanding and appreciation of art and culture through a variety of media, focusing on Singapore’s culture and heritage and its relationship with other Southeast Asian cultures, Asia, and the world. Mr. Olympia from 1965 to 2016 .